With January coming to a bitterly cold end we turn are view to February and of course love. Valentine's Day can sneak up on you if you aren't paying attention. 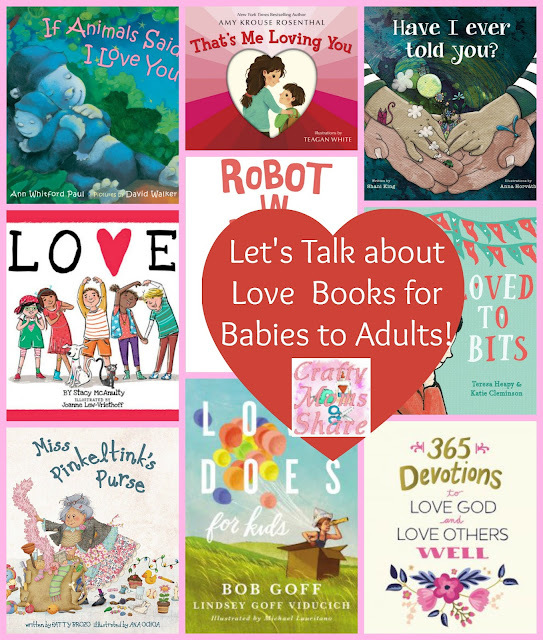 So today I am going to share with you books for all ages about love and the various kinds of love. I have everything from board books to an adult devotional. Yes we are talking love between parent and child as well as loving God and neighbors and even your favorite stuffed animal. We will go through by age so starting with the board books. 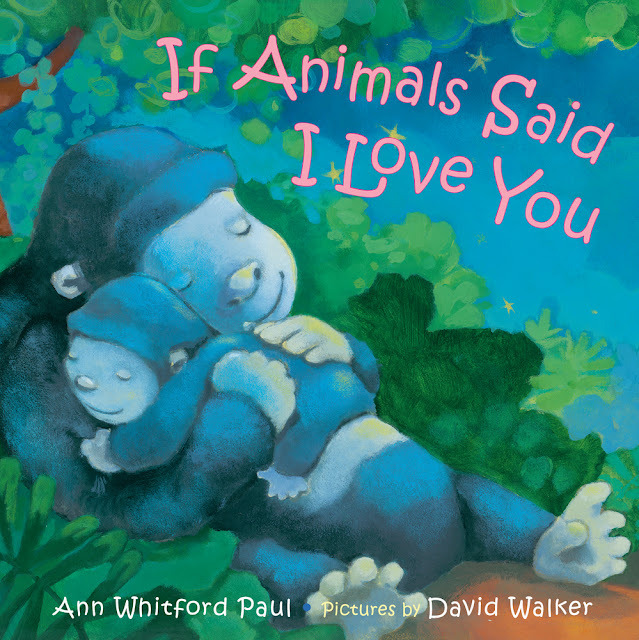 The first one is If Animals Said I Love You by Ann Whitford Paul and pictures by David Walker. 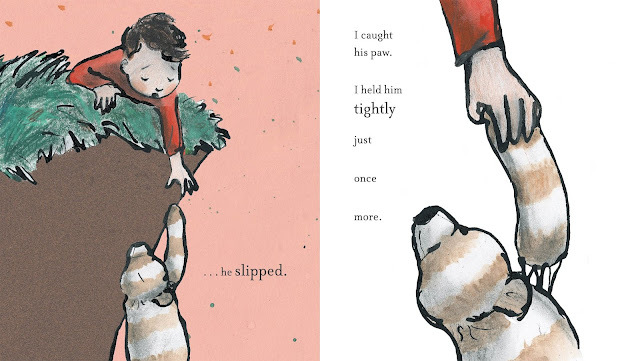 This sweet board book looks at ways animals might show love. It rhymes and is a very sweet book. The gorilla keeps coming back but the other animals are not repeated. I love how this book covers different relatives we love. It mentions parents, siblings, cousins, grandchildren, friends and more. There is a large variety of animals as well. The gorilla and lions but also whales, ostriches, snakes and spiders and more. It is just a sweet book that ends with the gorilla parent snuggling the infant while they sleep. 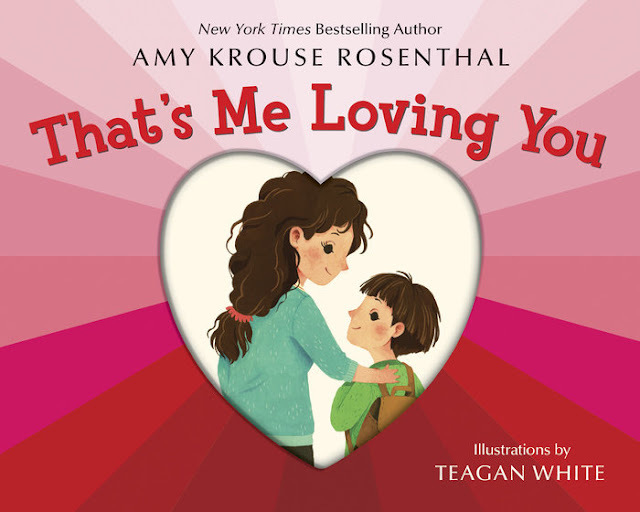 Our next board book is That's Me Loving You by Amy Krouse Rosenthal and illustrated by Teagan White. This book is the perfect gift for a parent to give a young child. It shares different things we may experience (see or hear) and how those are signs of me loving you. There are things like the thunder clapping or stars sparkling. Each has a different way we love like raving about, thinking about, winking at, etc. It is a sweet book and perfect for a little non-food Valentine's Day gift for your baby to preschooler. The people in the story are multicultural and switch back and forth between being a boy and girl. In a similar fashion comes our next book. It is Have I Ever Told You? 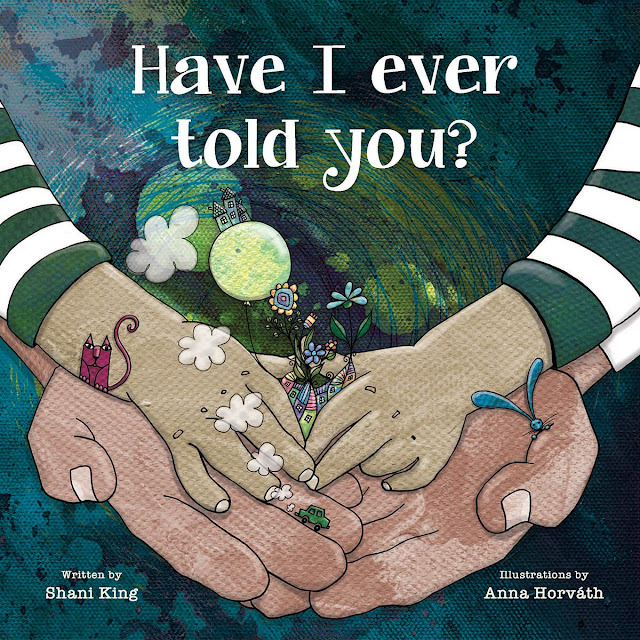 by Shani King and illustrated by Anna Horvath. 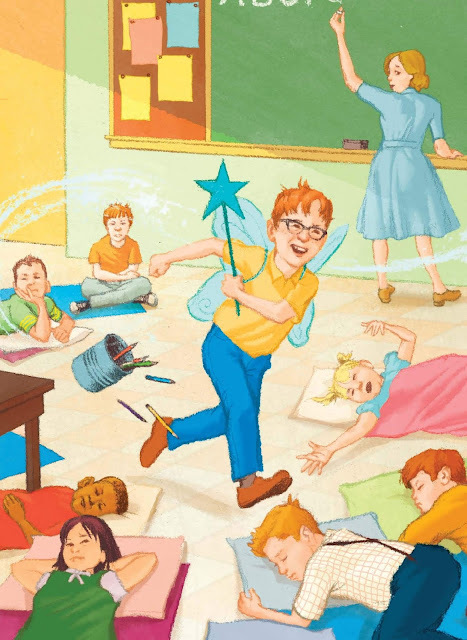 This picture book is recommended for ages 2 to 5, so it is for slightly older kids. 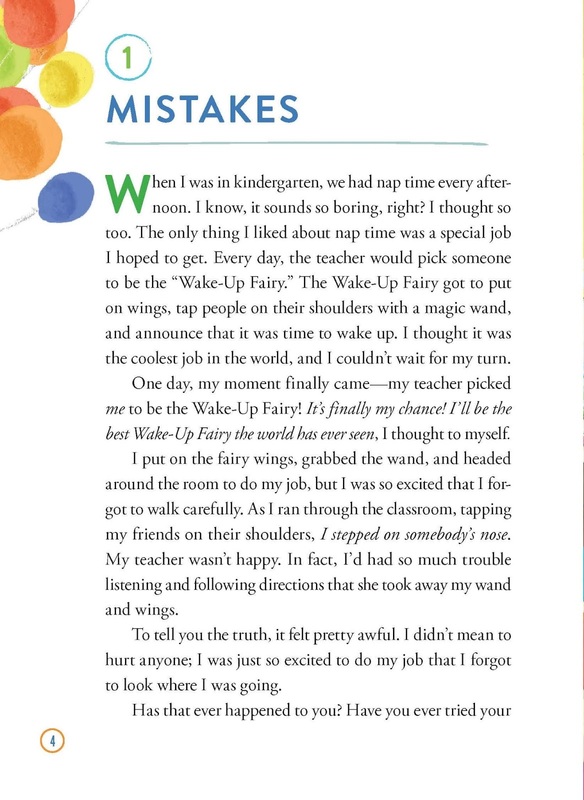 It has fun pictures that ask questions starting with "Have I ever told you" and includes things like you can be anything you want and being the most important thing in the narrator's life. This book is wonderful for any child and is especially amazing for those insecure children who wonder if you will always love them. I love how multicultural it is and how it even focuses in the words as well as the illustrations on different people, races, cultures and more. It gives the reader the all important message of "You are loved." Don't we all need to know that!! Our next book is also along those lines and also is multicultural. (On a side note having just had Multicultural Children's Book Day I am loving see so many multicultural books that weren't even part of the special day.) 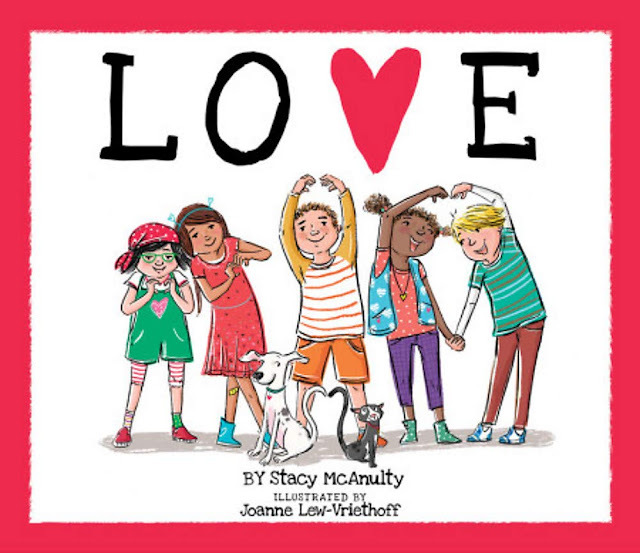 This book is Love by Stacy McAnulty and illustrated by Joanne Lew-Vriethoff. Now this book is recommended for 3 to 8 year-olds, so it is for even older kids. It has an important message, but I feel like it may take reading it a few times to get the message and not the opposite message. The book starts by talking about love being material things and then in the end talks about how it deserves those things because nothing matters more than love. I feel the reader gets stuck on the messages that love is a fancy dinner or a bouquet of flowers (granted the illustration is obviously an handpicked bouquet, but still the words are there). I feel the message is important but may be lost in the delivery a bit. 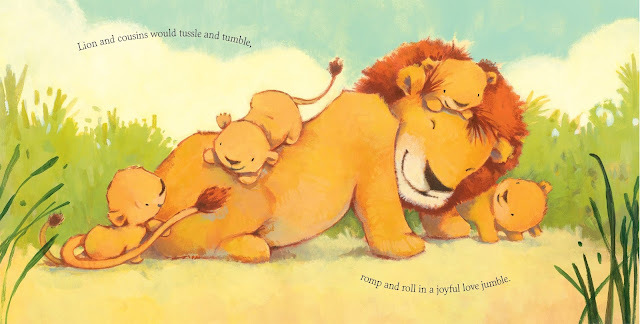 However it is a sweet book and with proper discussion and noticing the pictures are not the fancy things the words are describing it is a great message and discussion starter for parent and child. I love how the designer greeting cards are hand drawn and love the various cultures found in the book. 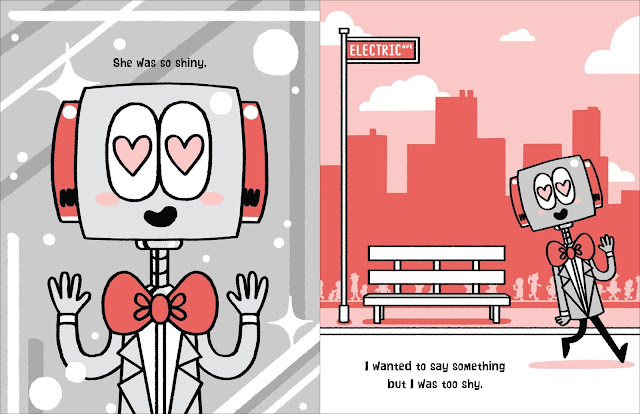 There are also printable Valentine's and other activities to go with this book here. Our next book is just a fun book. 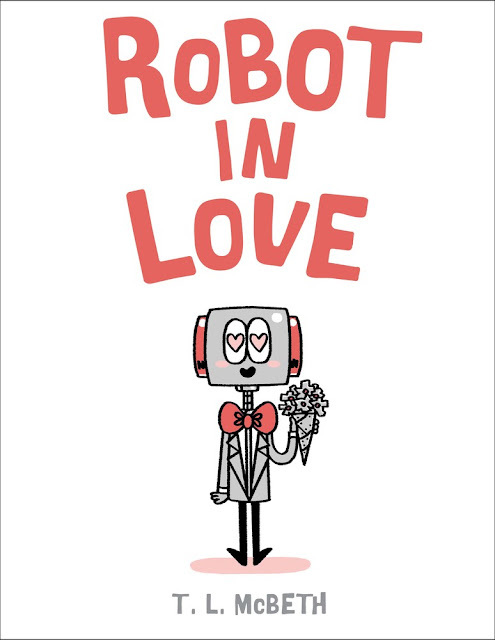 It is Robot in Love by T.L. McBeth. This book talks a bit about the feeling of being in love. It was an ordinary day for Robot until he saw her. And after that he couldn't stop thinking about her. What is a Robot to do? Well act like a human with getting nervous and tongued tied and all the other butterflies and craziness of love. Of course the sound effects are a bit different for a robot than a human, but it is so cute and funny. Of course the best part is when you realize who she is or should I say what? This book will entertain kids. It is recommended for ages 4 to 8. Our next book is perfect for those kids with loveys. I know Hazel still has Ducky and there are times when no one understands how she can still love him (though I just gave him a wash so he isn't quite so bad right now). 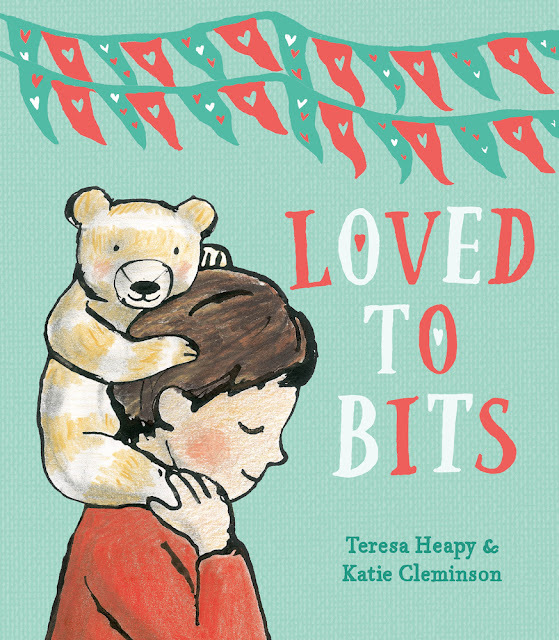 This book is Loved to Bits by Teresa Heapy and illustrated by Katie Cleminson. The boy in this book shares that his special teddy is only allowed to stay in his bed now and he goes on to describe the adventures they once had. Of course on those adventures body parts kept falling off teddy. When he is armless and legless as well as missing some other parts, his mother offers to mend him, but the boy says no and shares with the reader that he loves him even more the way he is. This book reminds me a bit of The Velveteen Rabbit which is a childhood favorite of mine. You know we all had that toy we loved so much that it fell apart. The adventures are fun and make you wonder what really happened but the truth is the boy loved his teddy bear to bits. It is just a sweet story that reminds us adults that stuffed animals and loveys may seem broken or disgusting to us but are still important to our kids. Our next book may not seem to fit in a love post. After all it is about homelessness, but this story has a happy ending because of the love of a community. 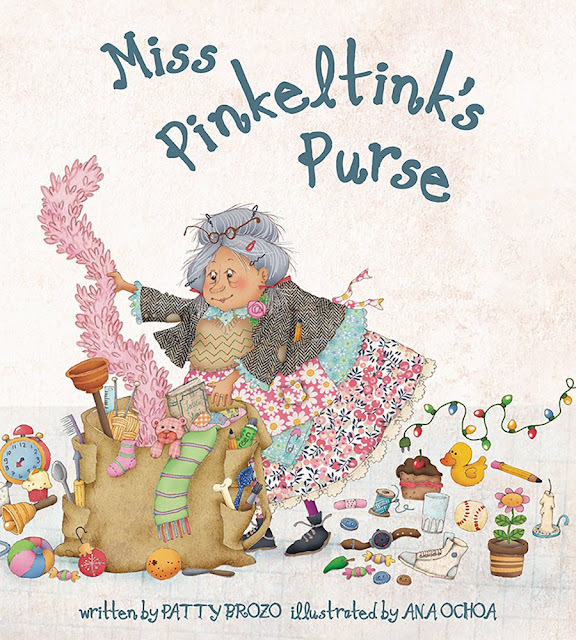 The book is Miss Pinkeltink's Purse by Patty Brozo and illustrated by Ana Ochoa. Miss Pinkeltink shows up in town with her very large and very filled purse. She knocks things down and causes all sorts of issues with this big purse but says it has everything she owns in it. However when Miss Pinkeltink sees others having problems she always pulls something (usually the incorrect thing) out to help them. Things like a plunger for a broken car. Then one day her purse is empty. She has given away all she had and she sleeps under the tree in the park using her purse as a pillow and her cape as a blanket. One girl notices her out there and gets an idea. The entire community pulls together to give Miss Pinkeltink what she really needs. A home for herself filled with treasures like the ones she gave away. This book introduces homelessness to our younger children in a fun and none threatening way. It also shows how if each of us give something we can help others. And perhaps since our Sunday School class did the Good Samaritan this past Sunday I am thinking about loving neighbors as ourselves. Wouldn't it be wonderful if we all could truly do that and find a way to end homelessness? Our next book is a devotional for kids. 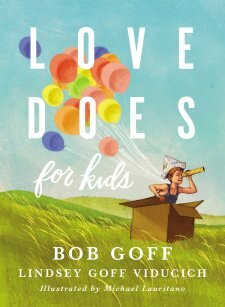 It is Love Does for Kids by Bob Goff and Lindsey Goff Viducich and illustrated by Michael Lauritano. The Bible tells us love comes from God. We cannot love without God. It also tells us to love God and to love others as we love ourselves. But how does a kid know how to love? This book shares real life examples (including some of their own embarrassing moments) to help kids understand love both God's and our own. Also ways we show our love and how to love others better. Each devotional is a few pages long and includes an illustration. The devotional usually shares a story or experience and then relates it to love, God and more. These are powerful messages and really I enjoy reading them. I haven't even given the book to Hazel yet because I always feel good after reading a devotional. (I guess I should look at the adult version.) However I am also really excited to share it with Hazel because I know she will enjoy it just as much as I am. Our final book is an adult devotional. 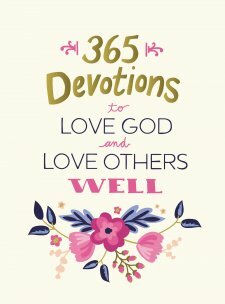 It is 365 Devotions to Love God and Others Well from Zondervan. In our crazy and chaotic world that always seems to have people arguing and fighting it can be hard to love others well. It can be hard to find time to express love to God as well. However with this book you have what you need to start your day with loving thoughts which always helps put you on the right path plus gives you a few minutes to spend with God. Each page long devotion starts with a verse of Scripture and ends with a very short prayer. Then it talks about ways to love, reasons to love and love in the Bible. There is so much in it and it gives you something to truly to think about. I am enjoying adding thoughts of love for myself, for God and for others and feel more love in my life because of it. The devotions are very short but powerful and they are dated. The messages are strong and about different things but help the reader to reflect and focus on different ways to feel and show love. I am truly enjoying this devotion and highly recommend it. So we will end our talk about love for today, but stay tuned the next couple of weeks as we do more Valentine's Day. I hope you will check out these amazing books as well!